In support of this same goal, FLVS recently held an online photo and video contest encouraging students to share their love for coding and computer science. The entries featured students participating in a variety of STEM-related activities, from programming robots to participating in an Hour of Code. The following participants were chosen to receive an iPad generously donated by the FLVS Foundation. Scratch is a program our elementary students use to practice block-based coding. We love how Jayden demonstrated his coding skills with an animated video showing what it’s like to learn with FLVS Full Time using the school mascot, Megabytes! 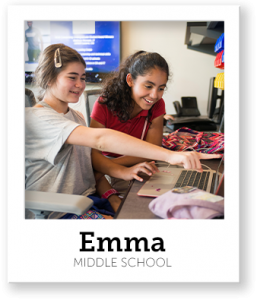 Emma is a member of a “Girls Who Code” club and is pictured here writing Scratch code. At FLVS, our clubs allow students to use and develop a variety of technology skills, including Coding Club, Robotics Club, media and video production clubs, and more. 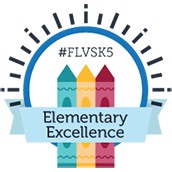 Learn more about our student activities at FLVS.net/clubs. Allison is taking Advanced Placement Computer Science with FLVS. In AP Computer Science, students develop the skills required to write programs (or parts of programs) to correctly solve specific problems and prepare for the AP exam. Students like Allison explore design techniques to make programs understandable, adaptable, and reusable. At FLVS, we’re passionate about helping students achieve their dreams and explore the important role technology plays in our lives and our futures – which is why we offer all kinds of ways to learn about coding and digital literacy. We couldn’t be more proud of our contest participants who helped us showcase a few of these opportunities. We wish we could have chosen more of you as our winners! Stay tuned for an upcoming blog post featuring several honorable mentions from our contest submissions. 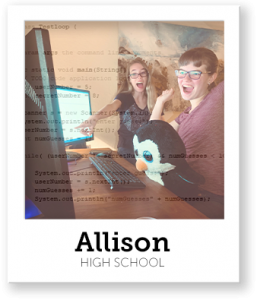 This entry was posted in Full Time Edition, Homeschool Edition, Student Edition and tagged #FLVSCodes, Coding, Computer Science, Contests, CTE Month, FLVS Codes, FLVS Contests, Hour of Code, STEM on February 1, 2019 by Marissa Draeger. I didn’t even know about this. Was it only for kids that actually go to school (middle school) just asking? great job everyone!!! you all did an amazing job!!! Yay congrats to them! They did great! Congrats to all of you!!!! I’m so proud you Allison,Emma, and Jaden! I probably don’t know any of you guys, but i just wanted to say congrats!!!! We loved all of the entries! Next time we are thinking maybe we can do separate contests for photos vs. videos. Ok thanks. I worked a lot on my video. good job everyone you all did your best and did great! Congratulations to all. Even those that were not picked as winning the iPad you’re all winners for even trying! Scratch (drag and drop) vs. c++/arduino (typing code). which is better? I’d go with c++/arduino!!! I subscribed so I can be aware of future events, it would be nice if there was a link to their projects. I would say you are a “salty boi” but I understand how you feel, I was working on a 5 minute stop motion project that was so long (because stop motion takes about 1 hout for ever minute of audio and video) and difficult that I had to submit a half version. Is this for Middle School kids only?? Or is it for everyone? How do you sign up for this?! There was a form on the entry page when the contest was open to submissions. So if I get in a shocked pose and look happy I can win next year :). I will rember that. Congratulations Emma, Allison, and Jayden! GOOD JOB GUYS! you guys did great i’m sure of it congrats..
Congratz guys! Im very proud of your hard work and effort. Im in 5th grade, and entered. I didnt give up, and u didnt either!!! congrats everyone but I didn’t know about this. Congrats!! I hope you like your ipad! Stupendous job Jayden, Emma, and Allison! Working and coding on a computer can be really challenging, especially because it doesn’t always work the way you want it to, and when you are able to do something this challenging, you are grabbing a hold of your strengths, which will transform into your dreams. I think this is a great career opportunity, and that you guys are so smart along with your participants. You all are uniquely amazing! I agree with kinto Miabella. Great job Jayden! I loved your video. Congrats Jayden, Emma, and Allison! You guys did awesome, and I know sometimes coding is so difficult, but you pulled through. Hard work pays off! Congrats, peeps! I really enjoyed everyone’s I-Pad videos, everyone did AWESOME!!!! By the way I love your video, Jayden!! I really wished for an I Pad… You lucky guys! Can I have an I-Pad too? Would a visual novel be an acceptable submission next year? I’m glad that ppl won an ipad, but next time could there be three winners per grade? 1st place gets an ipad, 2nd place gets an ipod, and 3rd place gets mp3 player? 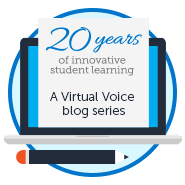 We’re working on ideas for future contests to give everyone an opportunity to share their love for online learning. 🙂 Stay tuned! Be sure to subscribe so you don’t miss out. How do you even get to find out about these events? I didn’t get anything about this. Please tell me how I can be aware of this stuff? Anyone? Maybe. That would be pretty cool! Cool I subscribed so now I will get a E-Mail of another contest!! Go Jayden! I love what you did! Hi! I just wanted to say congrats to all of our winners! I may be posting this comment kinda late, but I have been VERY busy(I am in softball). 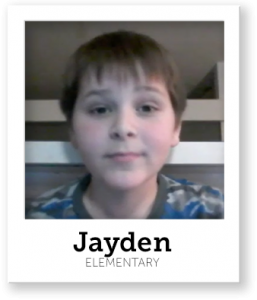 Jayden, your video was absolutly amazing! I laughed. It was funny. You have an amazing sense of humor and I loved the animation. I am a huge fan of animation. Sadly, I do all of my animation on paper and not computer and it is never recorded. But that is amazing! It is even better than one of my favorite animators, Jordan Sweedo, or Sweedo Toons! Fantastic job to everyone! I wonder if we can have a sports contest…..I don’t have time for coding but I have plenty of time for sports. Can that be the next contest?